My favorite part of writing is not so much the creation of a narrative as the research that is necessary to piece that narrative together. I love rummaging through the stacks (the basement) in libraries for books that have been collecting dust for God knows how long; physically touching paper that was handled by an historical figure who contributed something meaningful to society; looking at personal photos that have never been published; reading correspondences between fascinating personalities. It’s like history coming to life in my hands and I feel like a proper detective looking for clues to solve some kind of mystery. I consider myself lucky enough to have been able to scour special collections in Universities and national libraries on both sides of the Atlantic for this particular project. I find archival materials especially significant when researching the life of a person who is no longer alive. (Auto)biographies may tell one version of events, but archival materials are physical evidence — proof — that an event did or didn’t happen as it was later reported. From Hollywood to London (I even went to Birmingham! 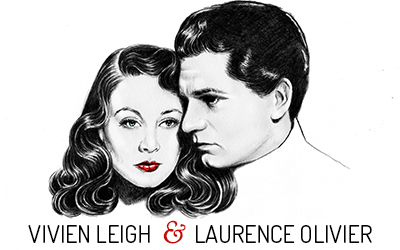 ), I’ve spent hours upon hours over the past three years searching for the answers to the question “Who were Laurence Olivier and Vivien Leigh?” Here are a few things I’ve learned along the way. 1. You won’t find everything in one place — Considering how much the Oliviers travelled, how many people they met, the level of their celebrity and their penchant for letter writing (especially Vivien), it’s no surprise that you can find materials related to them scattered around the globe. I’ve found that the two most useful archives are located in London and Beverly Hills. It wouldn’t be very fun if everything was handed to you in one piece. The search for information has been a mysterious and wonderful journey. These sorts of observations are as useful as those saying how much he loved Vivien because it gives us insight into what she was actually like sometimes and how difficult it was for those close to her to cope with her bipolar disorder (as well as how little understood it really was). 3. There is far too much information to try and squeeze into one book — Yes, there is such a thing as too much information. Although I aspire to learn everything that I can about subjects I’m interested in, I sometimes find it hard to focus on the topic at hand for a paper or what have you. Having looked through everything from personal letters to fan mail to articles to contracts to receipts for cars, I kind of feel like I have information overload. Is it all fascinating? Yes, of course. Is it all actually useful for my project? Probably not. One of the most difficult tasks is weeding through everything to pick out the essential bits, choosing what to incorporate and where. I’m still perfecting my editorial eye. 4. You never really find the answers to everything — This is especially true with rumours (and God knows there are plenty surrounding Larry and Vivien). We just have to face the fact that you can never know absolutely everything about a person or event. But the good news is that by investigating various angles you can find out interesting things about said rumours. For example, my friend/research assistant at UCLA discovered that the rumour about the supposed 10 year affair between Danny Kaye and Laurence Olivier was perpetuated by Donald Spoto to justify his (and Michael Korda’s) opinions that Vivien Leigh never actually had a bipolar disorder, despite there admittedly being no actual evidence to support the former but reams of evidence to support the latter. I found this really annoying and terrible reportage. We will likely never know whether this affair actually happened. Sometimes you can dig and dig for answers but never find anything conclusive. 5. I realize I admire the human qualities of these people as much as the star qualities — We often think of film stars of the golden age as being models of perfection — that the image we see on screen perfectly matched who they were off-screen. But as much as we’d like to believe that rainbows and butterflies appeared every time Vivien Leigh entered a room, it simply wasn’t the case. What has been reiterated over and over again through my research is that she and Larry were 100% human. However perfect we’d like to think they were, they just…weren’t. They made mistakes and did and said less-than-exemplary things, just like you and I. The courses of their lives were far from smooth and no doubt they had their fair share of regrets. Someone on Facebook recently asked me if my opinions about either of them have changed over the course of my research. My answer is simple: No. I still like them in spite of their flaws because it’s often the flaws that make people more interesting. It’s all so true, Kendra. Perfectly said. What interests me very much, is how and what you are going to let emerge from the mass of information you’ve already been through… It’s your vision, that’s going to make the whole difference. And I think it’s going to be totally thrilling to all those interested in Larry and Vivien. Hopefully it’s something people will want to read! I’m working hard to make it interesting and new. As a historian I can sympathize with your project. Whenever I do research I have to be very precise about what I am looking for or I soon become overwhelmed with too much information. It’s always a learning experience. It is difficult to carve a straight path through all the information! Do you have any tips on how to stay focused? I think I could use some. My favourite part of this is – I even went to Birmingham! Lol!! I love doing research and uncovering all the hidden treasures and following the clues. It seems like this is an amazing journey your on, the journey can make the discoveries all the more worthwhile. I don’t envy you having to edit it all though, that must be the hardest part of it all, especially with so much information to digest. Sometimes I don’t want all the information, it leaves some romance about it all, unlike nowadays when we know everything about so called celebs. It’s amazing just how much we can find out though. Research is honestly one of my favorite things. It’s like a scavenger hunt but with things that are actually significant to history and culture. Editing will be the hardest part. I try and do it while I’m writing and sometimes that works, other times it doesn’t. I’m definitely my own worst critic. I feel the same way about information. It’s like I want to know as much as I can, but part of me wants to keep the image in tact. The good news is that these people were still romantic even when you do know 99% of their lives inside and out. It was nice, we need another meet up! I’m the same with my family tree research, it’s so interesting trying to piece together the story, sorting the facts from the fiction and discovering things for the first time. Your doing an amazing job of it all, i’m so glad you are sharing so much of it. Congratulations on the article in Bright Lights Film Journal, which I just read and enjoyed. I’m looking forward to your book! I noted a photo in the newspaper clipping file at NYPL’s Library of the Performing Arts at Lincoln Center that showed Vivien with Jack Benny and Natalie Wood after a Tovarich performance – a curious trio! (And I wonder if playing Natalie’s mother in This Property Is Condemned was one of the three film offers Gielgud’s diary was referencing in 1966 – wisely turned down, perhaps.) I’ve never requested the library’s photo files on Vivien, but I wonder if there are any hidden gems there. I also wonder if you thought of asking someone to write an intro… Patrick Stewart? Claire Bloom? Happy continued research! It’s great that you’re finding it both rewarding work and a fun way to spend your time. I haven’t read the Loe Lerman journals, no, but I’m glad to hear Isherwood mentioned her. His partner Don Bacardy considered her a friend. When I spoke with him on the phone a couple years ago in connection with this project, he has nothing but good things to say about both her and Larry. According to him she was wonderfully liberal and they’d take her to this gay club in Hollywood where she’d tear the house down dancing all night. It’s been interesting discovering how many film roles Vivien turned down for one reason or another. Many thanks about the Bright Lights article, I’m still quite excited by it! I’m also happy to hear of a photo containing both Vivien and natalie Wood. I know Natalie was a huge fan of Vivien’s but I’d never seen a photo of them together. If I get a chance to go to NY in the near future, I may just have to search this one out. I have thought about the intro, but will have to cross that bridge when I come to it as everything else has been rather hectic with the whole thing on this end. There are just a few references in Leo Lerman’s journals, as I recall, but they’re touching (and indexed! ): spontaneous applause greeting Vivien at a performance of Duel of Angels in NYC, perhaps as a show of support as the marriage broke up; and Vivien clutching his hand and crying, “they’re not writing roles for beautiful women!” or something like that in the sixties (hope I’m not over-dramatizing). Nice that you’ve been in touch with Don Bacardy. A close artist friend of mine has a portrait of himself done by Bacardy, around the time he did the cast of Short Cuts. I think they’re still in touch now and then. The photo with Natalie appeared in the New York Post, so maybe someone there could help you? The yellowing newspaper clipping wouldn’t be much help, alas. My guess(es) about the other two film offers post-Ivanov: The Happiest Millionaire (Geraldine Page’s role), though I forget where I read that; and Mrs. von Meck in the Russian film on Tchaikovsky. Unfortunately, all of Vivien’s actual close friends are now long dead so what we’re left with are people who knew her for a short period toward the end of her life, or people who worked with her once or twice but weren’t around her much and so can’t claim to know her very well. Another thing I’ve learned is that people (especially if they’ve written an autobiography already) tend to rehash the same stories and it’s very difficult to get any new information this way. Fascinating article, Kendra. I’ll be particularly interested to read about Vivien’s mental health problems and how it affected those around her as well the impact it had upon her relationship with Larry. I still can’t believe that it took me at least 3 separate biographies about her/Larry before I saw found “depression” mentioned in regards to her. It seems like a lot of biographers would rather disregard it for reasons unknown, and latch onto (or make up) gossip instead. I’m not really sure why, in this day and age, that the issue is still being avoided by a lot of more recent biographers. 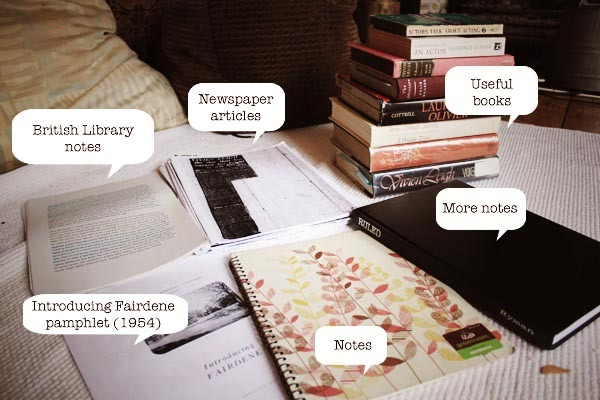 Totally agree on the research- though I used to have a SUPER hard time putting my notes together (because I would gather so much and wanted to use all the information = you learn the hard way…); all just for college essays, of course! I am writing a one-woman show as Vivien Leigh-I too have researched for months. The British Library was extremely helpful. 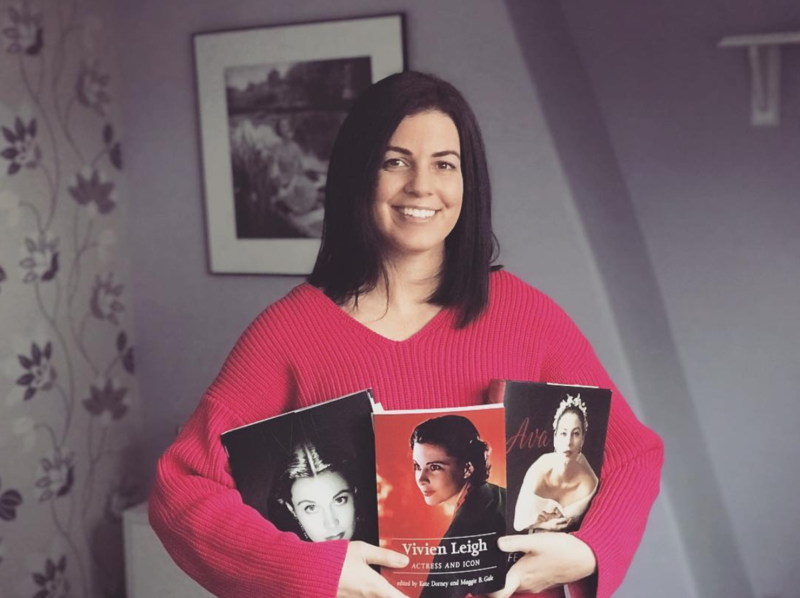 Make sure to take a look at Anne Edward’s biography on Vivien Leigh…I found it was the best, along with Alexander Walker’s.